Arc-shpaed corners protect from crashing. Modern desogn anti-dustmite, anti-bacteria, anti-mould leather surroundings. Double side design with different softness options. It is specially made of combined bamboo fiber that incorporates the identity of natural, anti-bacteria and promotes the minus ions reaction. 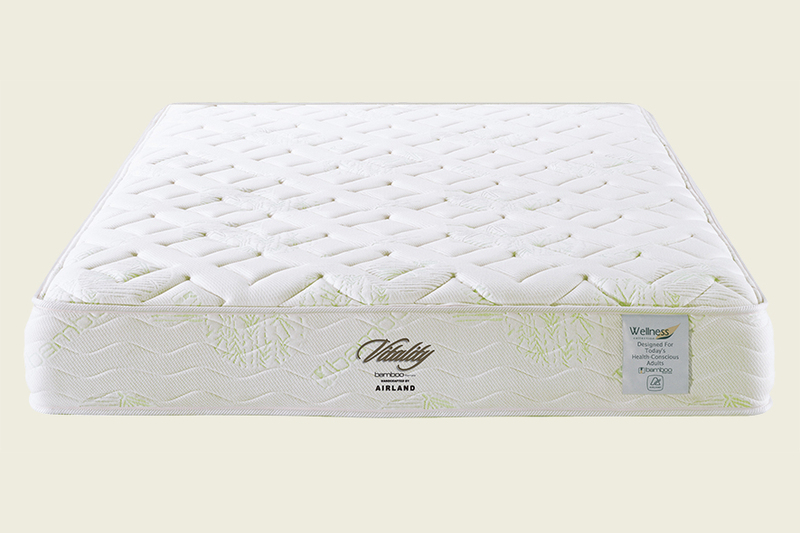 All these features are combining to create an extremely positive effect on body circulation and perfect pressure relief, which brings you a healthy sleeping experience and harmonious sense of living. Natural Latex can lead to high resiliency for better support and spine alignment. 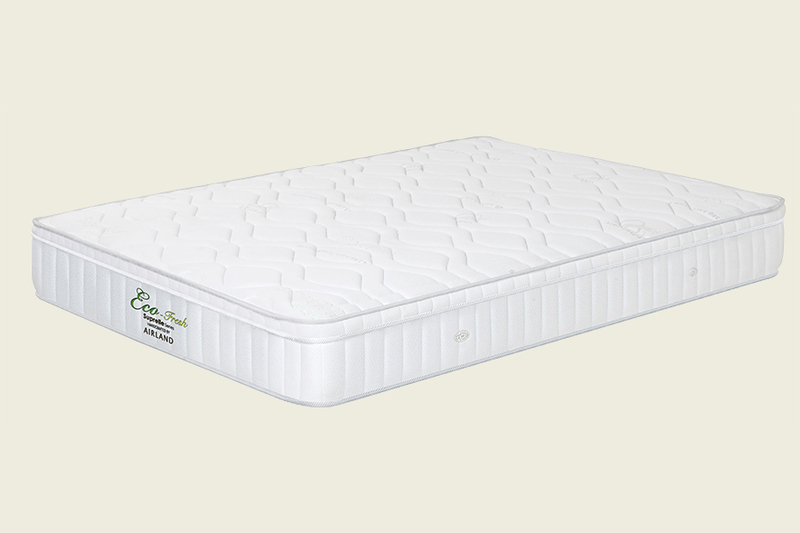 Patented OxyFoam™ is a special design for Southern China Region. Each piece of Oxyfoam™ contains over 8000 tiny air holes which enhances air ventilation for a fresher and healthier sleep. Cosiflex® Spring System the uniquely design of open-eneded individual coils can detect and response to the pressure changes. This wire gives overall comfort support and well suitable to most body figures. Eco-Fresh - “Suprelle Fresh” ticking is made of Suprelle and Tencel, It is an association of two complementary fibres. 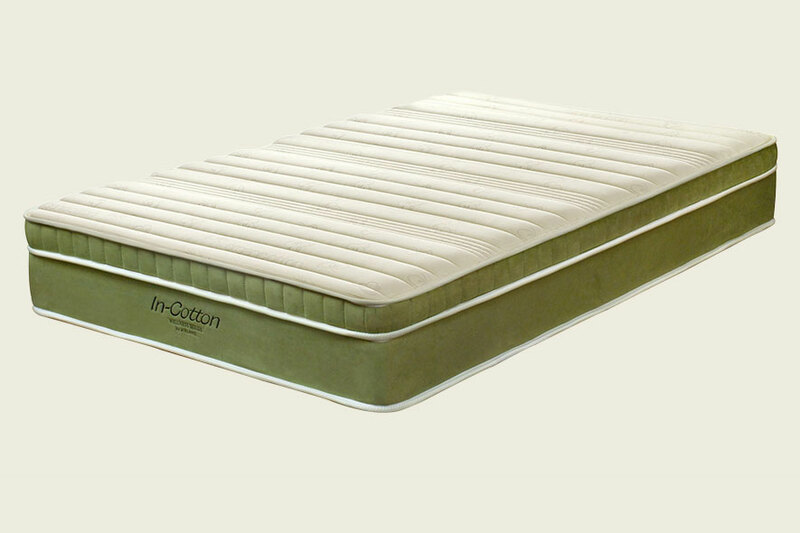 Support - Patented Cosiflex Spring System-the uniquely design of open-ended individual coils can detect and response pressure changes during the night. 2.1mm steel wire gives overall comfort support; it is well suitable to most body figures.